From Arthurian sagas to modern-day thrillers, O’Keefe’s gripping books will stoke your love of the written word, and remind you why you fell in love with reading in the first place. 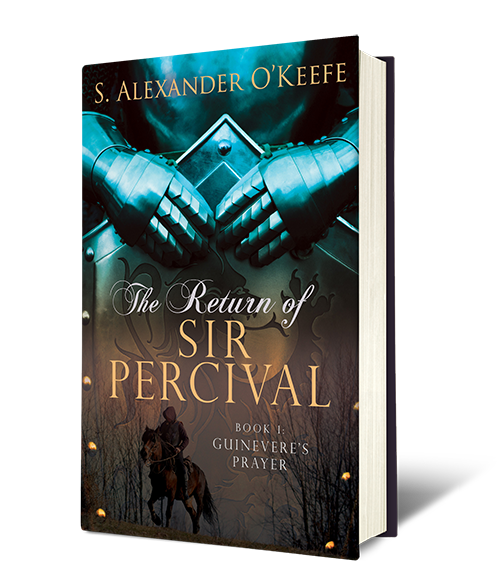 Sign up for the newsletter to follow the latest from O’Keefe, and you can download the first two chapters of his latest work, The Return of Sir Percival for free. One of O’Keefe’s favorite lines from Paradise Lost by Thomas Milton is “The mind is its own place, and in itself can make a heaven of hell, a hell of heaven….” In the author’s estimation, a mind blessed with an imagination can race from one end of this Miltonian spectrum to the other, creating hundreds of fascinating worlds, characters and creatures, ranging from the enthralling to the mundane, from the glorious to the horrific. O’Keefe believes that the task of a storyteller is to translate this imaginative magic into the less perfect medium of the written word, and thereby offer others a seat at the latest show playing in the author’s mind. Fans of Arthurian fiction will be entranced by O’Keefe’s new saga, The Return of Sir Percival. This vivid retelling of an age-old story of knighthood, chivalry, harrowing quests, and loves lost and found follows the last knight of the Round Table on a journey in search of Guinevere, the last Queen of the Britons, that is as enthralling as it is memorable. The discovery of a restrictive covenant in a century-old deed sparks a deadly game of genetic rundown, pitting a ruthless oil magnate against the last heir to a billion-dollar fortune. 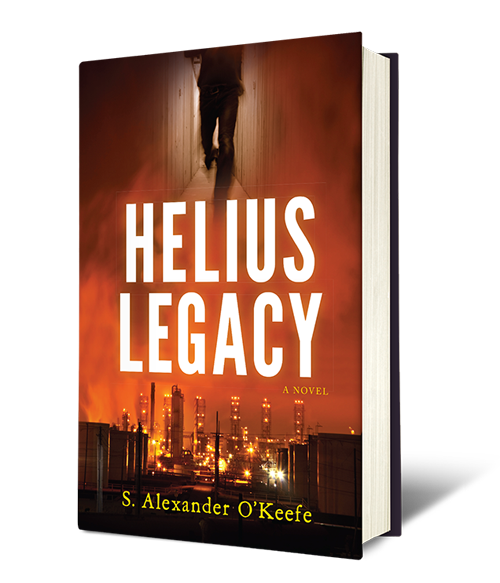 Helius Legacy’s complex plot, exotic legal nuances and fascinating cast of characters draws the reader into a life-or-death struggle that rages from start to finish.